Halloween is just around the corner and I have lined up a few fun things for the children to do. they also have a very fun Spooky Party to attend with their school friends which they are both looking forward to. Will you be celebrating Halloween this year? 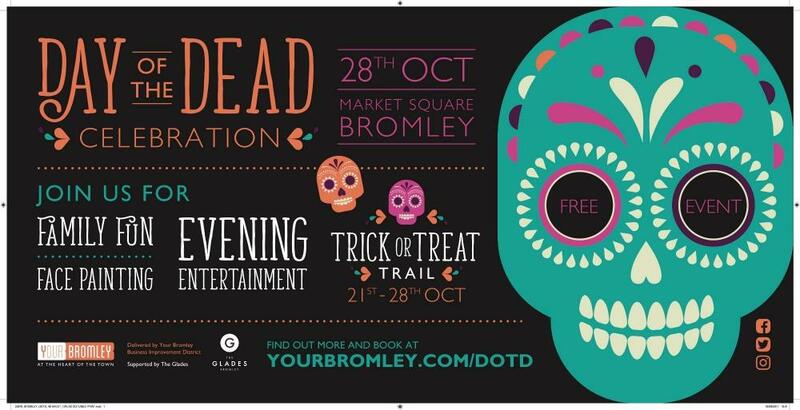 If so there is a Spooky celebration taking place in Bromley Town Centre starting from the 21st of October. There will be face painting, pumpkin painting, a trick or treat trail, and a Mexican Day of the Dead party. So there really is something for the whole family to enjoy. 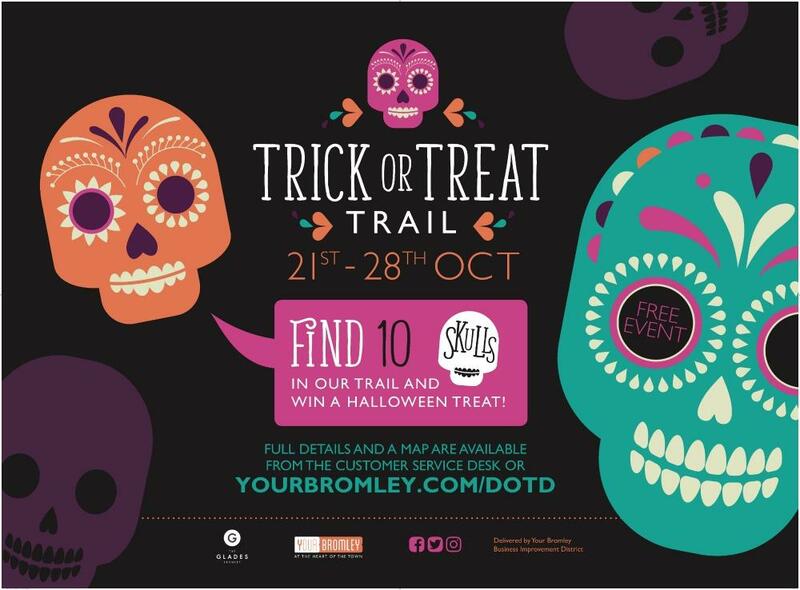 There will be a week-long town centre trick or treat trail which is perfect for half term with your little ones. You will be able to hunt the area for spooky painted skulls. There will be ten to find, hidden in the window displays in twenty-five shops. If you find all of them you will win a Halloween treat, (There will be full details and a map available from the customer service desk at The Glades). In The Glades throughout the week there will be a spooky selfie shed on standby to record the face painting. You will also be invited to book a slot for pumpkin painting, sugar skull face painting or watching professional pumpkin carving during the day before taking spooky selfies and being entertained by a Mariachi Band. Food and drink will be provided by Benito’s Hat, with a selection of tacos, churros, margaritas and Mexican beers on offer throughout the day and night. In the evening the space will transform as darkness sets in, with older visitors invited to a Mexican Day of the Dead celebration where entertainment will include a performance from the Voodoo Love Orchestra, fire performers, a human table, live street art and face painting for grown-ups. This looks fab! Wish we had something like that closer. Hope you have a fab time! I have done a similar post for my area. I think it’s such a great thing that local towns and council put on some events over the Halloween and half term. When I was a little girl my parents never really agreed with celebrating Halloween and not many families participated. So times have definitely changed. Sounds a lot of fun, hope you enjoy your Halloween!